Welcome to the web sites of Chadim´s mill. 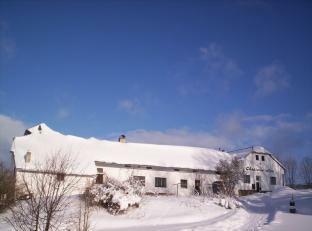 Chadim's family has been occupying the mill since 1644 when Matěj Chadim bought the mill as a mill steading for 510 threescores. Today we are the family eco farm. 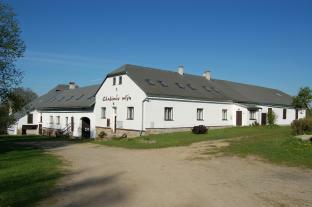 We offer you a visit of the mill museum which was originally a grinding room. We provide accommodation in rooms, where mill servants used to sleep, or overnighting at camp. We sell souvenirs, maps, postcards, bottled beer and lemonade at the reception desk. There is a plenty of attractions for children within a fenced area: a slide, a sand pit, model train, etc. For inquisitive visitors, a thematic exhibition with a lecture within the Festival of Handicrafts and Religion Greenway takes place every year. You can rent premises of the former granary for unconventional company meetings, conferences, weddings and celebrations. Quiet environment, surrounding forestry and hilly terrain of Vysočina with plenty of bicycle lanes is suitable for bikers, mushroom-pickers, cross-country skiers, hikers and families with children who want to take trips.